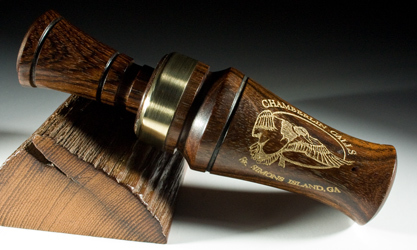 Hand made duck calls from the finest call making woods including bois d'arc,Texas ebony, African blackwood, olive, and Arizona ironwood among others. 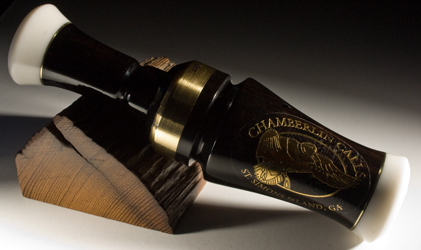 Mallard calls are Arkansas style, single reed calls. 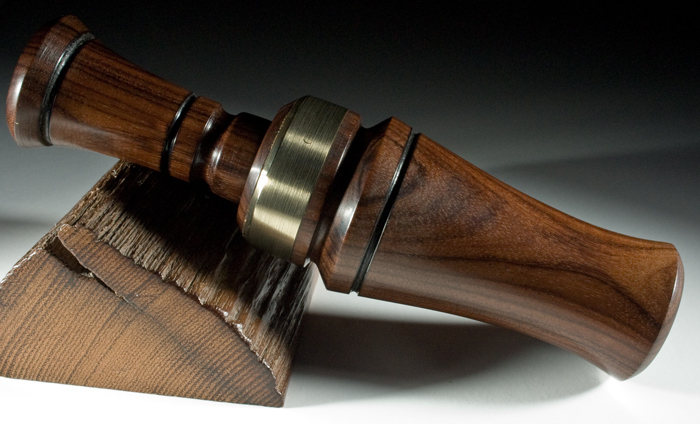 *Other wood types available upon request. The mallard duck calls shown below are the actual calls that are available. Click on any of the photos for a larger view. Description: Mineral Stained Poplar, African Blackwood sleeved and caps, high gloss CA finish. Description: Burnt Bodock (aka, Bois d' Arc, Hedge, Osage Orange) brass band,oil and wax finish. 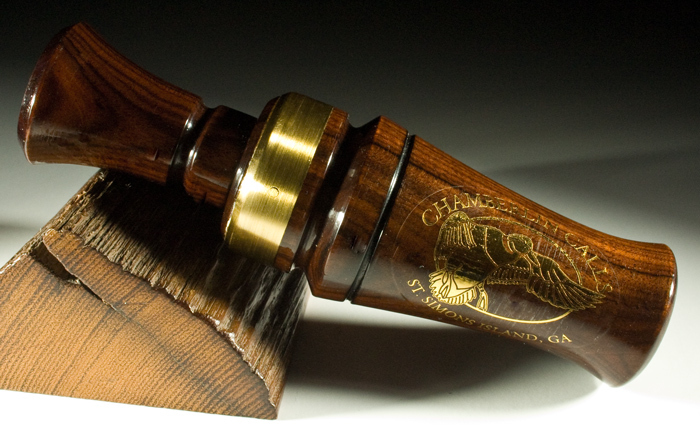 Laser engraved logo. Description: Texas Ebony, Bloodwood caps, high gloss CA finish. 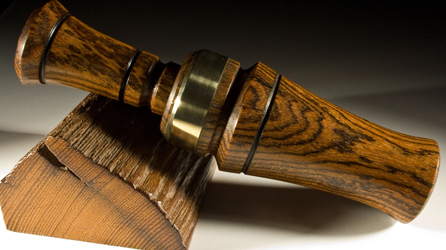 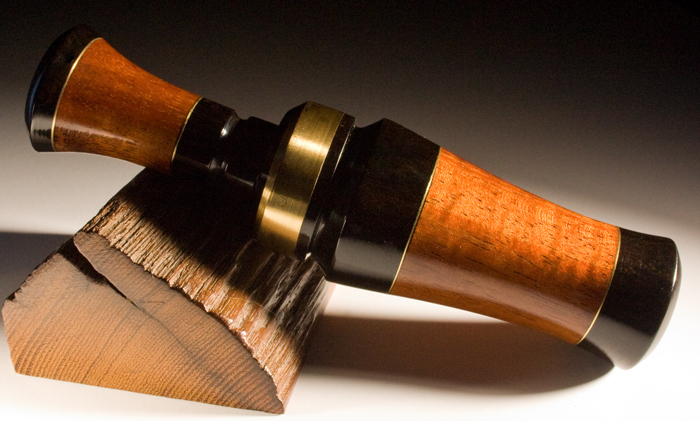 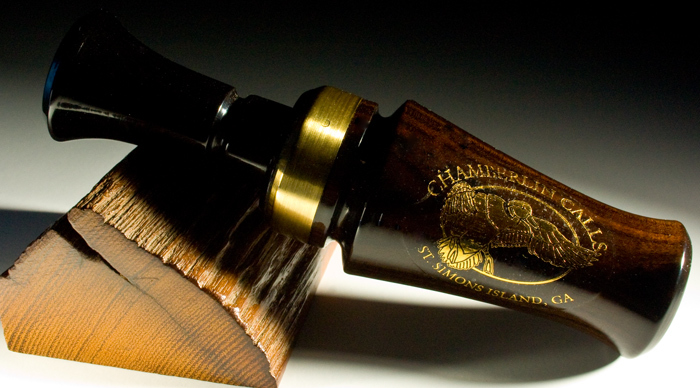 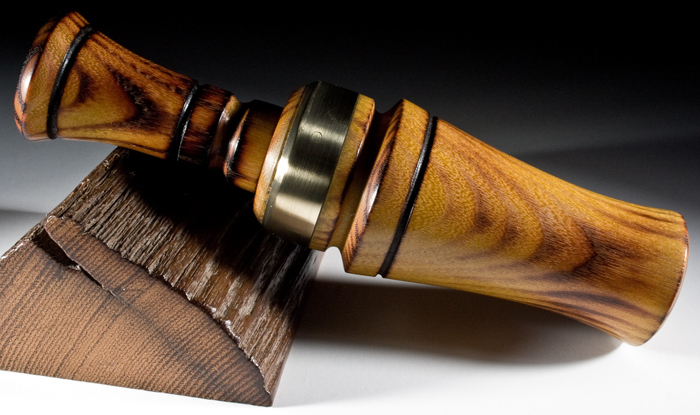 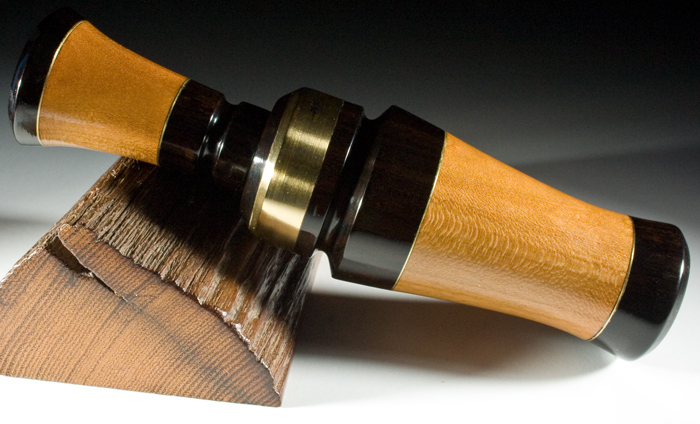 Description: Bocote, oil and wax finish. 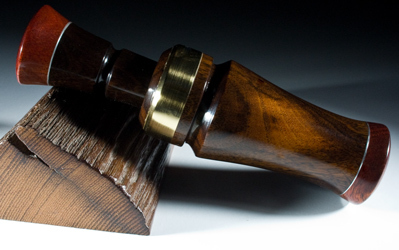 Description: Honduran Rosewood, high gloss CA finish. 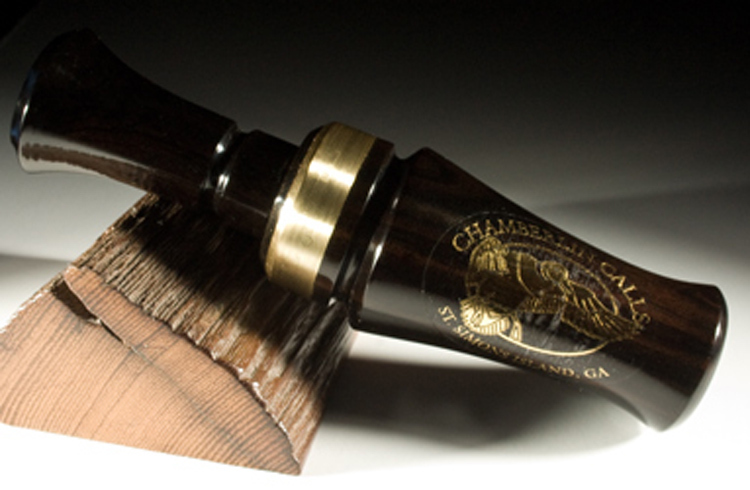 Description: African Blackwood and Wild Cherry, high gloss CA finish. Description: Burnt Bodock (aka, Bois d' Arc, Hedge, Osage Orange) brass band, high gloss CA finish. 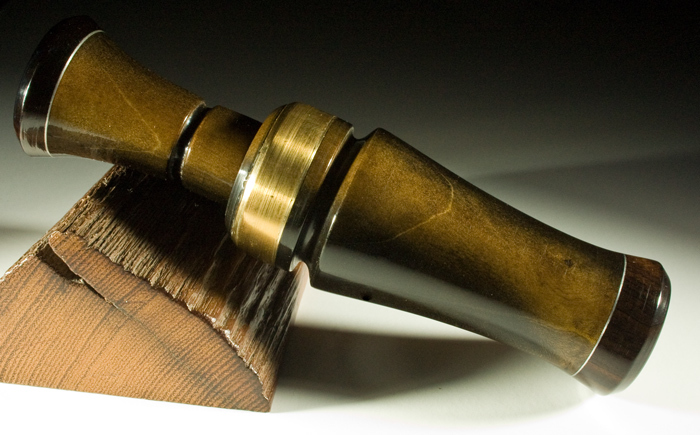 Description: Burnt Bodock (aka, Bois d' Arc, Hedge, Osage Orange) brass band, oil and wax finish. 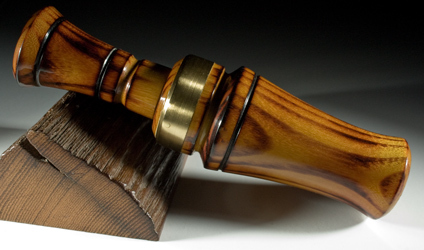 Description: Texas Ebony with Bloodwood caps, high gloss CA finish. 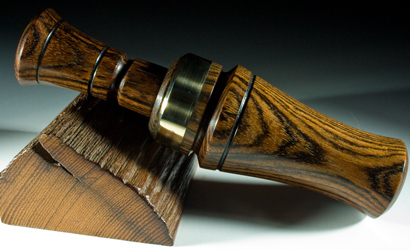 Description: African Blackwood with high gloss CA finish. 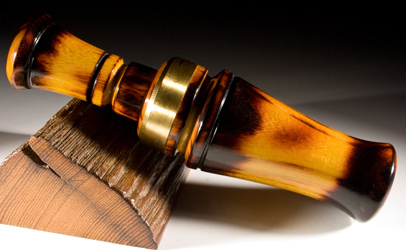 Description: African Blackwood Call 743, high gloss CA finish. 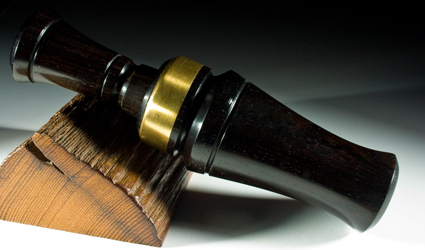 Description: African Blackwood, oil and wax finish. 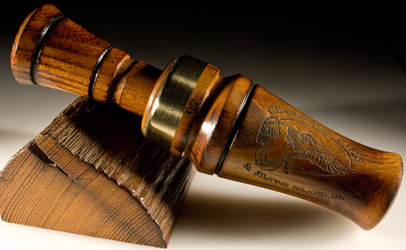 Description: Curly Hawaiian Koa and African Blackwood, insert is African Blackwood. 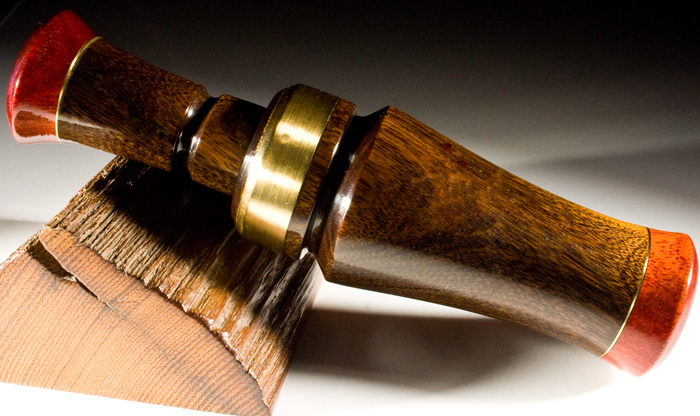 High gloss CA finish.